Psypoke - View topic - Which Poke'mon should be taken out of Pokemon? Which Poke'mon should be taken out of Pokemon? Re: Which Poke'mon should be taken out of Pokemon? Last edited by Haunted Water on Sat Sep 08, 2012 12:37 pm, edited 1 time in total. "Ugly" presumably meaning "didn't exist before some arbitrary date past which pokemon should not have been allowed to progress", I take it? Evaluate each Pokemon on its own merits, don't say "oh it's in the Xth generation so it's horrible" unless you want to look like an idiot. The 3 first generations have something special that the 4th and 5th is missing... Idk what, but I hate these for this reason. An i'm not the only one who have this opinion. Most of my friends say they are really horrible. I agree that ''They should be destroyed and put 10 miles underground'' was a bit too much... but its what i really think!!! Sorry if I frustrated anyone, I didnt meant to do this. 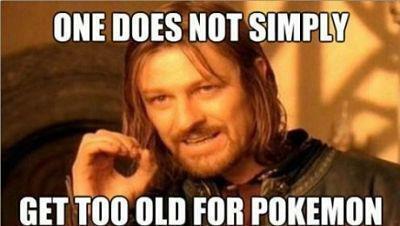 I think there are a few that should go - Stunfisk and Pachirisu come to mind. Stunfisk is a pretty useless fish, Magikarp already had that role. Pachirisu is a cute but weak Electric Pokemon - Pikachu was fine, and actually useful. Pachirisu can't even make any use of the Eviolite. I probably wouldn't like to see them go though, they're not doing any harm. In all honesty you probably just outgrew it a little bit - what's the difference, really, between Pidgey and Pidove? I always see people complaining about Vanillite and its evolutions too, but it's no more "stupid" to make a Pokemon out of an ice cream than it is to make one out of a rock, like Geodude. I think he is taking more issue with the fact that you write off two Generations at once and then speak in generics for why you don't like entire Generations of Pokemon, when it would be better judge Pokemon on a case by case basis rather than a group by group one. Sinnoh and Unova introduced 263 individual new Pokemon. You honestly don't like even a single one of them? To answer the topic's question I'd leave all of them. Sure there are Pokemon that I DETEST and there are Pokemon that are completely redundant but every Pokemon has its fans and since my favorites are all pretty obscure too I wouldn't want to deny fans their favorites. That makes sense... How, exactly? That is more or less discussed there. That is what a purist is. EDIT: And to say that the last two gens are ugly-while trying to avoid beating the dead horse, so to speak-lets look at Togekiss. Now at Piplup. Now at Rotom. Now at Riolu. Gen IV has a lot of "cute" pokemon, kill save Bidoofus' line. Victini, Tepig, Emolga, Oshawott Snivy's line, Reshiram... I think I made my point. Last edited by Haunted Water on Wed Aug 01, 2012 7:49 pm, edited 1 time in total. When you make a thing that has something for everyone, all anyone seems to do is defame whatever parts of it aren't for them. GhostPony750, I apologize for being a bit too harsh on you. However, my point still stands: each generation is varied enough that you cannot use blanket statements like "ugly" to describe the ENTIRE generation. If you have a specific reason to happen to hate every single Pokemon in a generation, then fair enough, but the vast majority of people who claim they hate an entire generation seem to do so because, in their mind, Pokemon should have stopped progressing after a particular day and any made after that day are Digimon or otherwise not "real" Pokemon. With that in mind, I'd like to echo Frost's sentiments on this topic. Even if I really, truly hated any Pokemon, I know that other people have different tastes than me, and some of them probably count as their favorite the Pokemon I hate. Exactly. No game game is perfect for everybody. Except maybe the Uber-Customizable ones like Spore or Super Scribblenauts. You honestly don't like even a single one of them? For the 4th Gen, I honestly like none of them. But for the 5th Gen, I do like the little turtle and the zebra... what's their name already? You're right Flaming_Wuzzle. Sorry if I Frustrated anyone! My least favorite generation thus far has to be... *drum roll* ...the first. Don't get me wrong, all generations are good and have both amazing and subpar Pokemon, but the first gen was worst for me because there weren't as many unique designs as there are with more recent generations. Am I the only one that doesn't dislike generation IV? 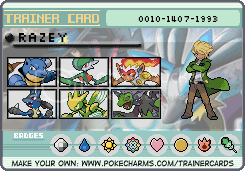 Gen IV is one of my favourites with the likes of Lucario, Gallade ect. GhostPony, why must you be so near sighted? It makes no sense to say "I hate Gen IV and V."
Anyways, saying what we think should be taken out is kind of a moot point. It's already there, just deal with it! I made a mistake, I apologized, its all over. Stop belittle me, its not the good way to get attention and it only frustrate me. Also, for other topics, stop putting words in my mouth. I find Luvdisc an absolutely pointless Water Type apart from getting heart scales from them. Oh, what a painful reality. Kricketune. I understand they're somewhat important to the universe, but god... why do they exist... Stunfisk, too. Why. corsola, luvdisc, delibird, karrablast, shelmet, the entire snivy evo line. I didn't like some of Gen V and hated Gen IV. But there were some good Unova pokemon. I think the pokemon that should be removed are the ones like corsola, who are utterlyterrible and don't evolve to even try and make the thing better. Why, because we already have Teddiursa & now Cubchoo, we don't need whatever cuteness you were suppose to be bringing to the table & other then that, what do you have, a questionable choice for DW ability, horrible stats, founder of Teeter Dance which is simply a not exactly a great move & lastly for it's appearance appeal being better taken care of by Cubchoo & more so Teddiursa(who also shares a similar green for their Shiny color) it simply has no other redeeming qualities, NONE I mean even Delibird is a pokemon associated with a holiday but you Spinda, you...why TF, why TF do you exist wasting all that code for your outlandish amount of different spot pattern possibilities which none of are of any interest to I would assume anyone? WHY?! ...but you Spinda, you...why TF, why TF do you exist wasting all that code for your outlandish amount of different spot pattern possibilities which none of are of any interest to I would assume anyone? He can have different patterns? What an useless feature! You know it's not a unique sprite for each spot pattern, right? There's over four billion Spinda possibilities, not including the over four billion more for shiny Spinda. That many sprites wouldn't fit in a game. The code that assigns the spot pattern would take up no less space if there were only ten, I'm sure. In general, I like all the generations. 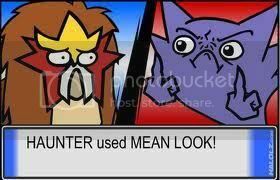 But, Sinnoh's starters... ARGGGH! Especially Piplup. It is just SO PLAIN. It is just a very dull pokemon, with no memorable features, and I hate that it's a starter. BUT DUDE! HE AIN'T JUST A PIPLUP! HE'S A PIMPLUP! Lol, we needed a penguin poke someday. Besides, he becomes Wtaer-Steel. You have to admit Empoleon is awesome. Turtwig, yeah, but Grass-starters are deteriorating... and Chimchar... ugh. But whatevs, he plays well. But Genesect has a freaking Mega Buster on his back... his play style's pretty unique too. Meh, maybe I'm biased. I do love my bug-types. Well, new Pokemon weren't all that great e.g. Emboar is probably the worst Fire starter, at least in design. I think Accelgo, Emboar, Crustle and Stunfisk should go out.